Our classes focus on communication skills and confident language use. Passing exams is a great milestone for your learning, but the most important thing is using Chinese to achieve your goals at work and in your social life. That is why we train the skills that you need to live and work in China. We also maintain close ties with prestigious business schools in Beijing and provide high level Mandarin Chinese training for their international students to prepare them for work in China related positions. The Sinology Institute can provides courses specific to students of different professions such as diplomats, lawyers, business people etc. Our intensive group classes run with no more than 6 students in a class. This ensures that each student gets the most speaking time and teacher interaction possible. You can join a public programme, or take classes with friends or family. Our intensive programme typically prepares students from beginner to HSK level 5 (out of 6) within one year of training. This is roughly the level of language capability that students achieve at the end of an undergraduate degree. Each class is 50 teaching minutes and a ten minute break. The Sinology Institute will provide the student with a number of Mandarin Chinese classes according to tuition fees paid. A study contract is considered entered from the moment fees are paid and a receipt is issued. Paid tuition fees are valid for one year from purchase (receipt of fees) and non-transferable. Classes will only be arranged after receipt of tuition fees. A receipt will be issued upon receipt of funds. 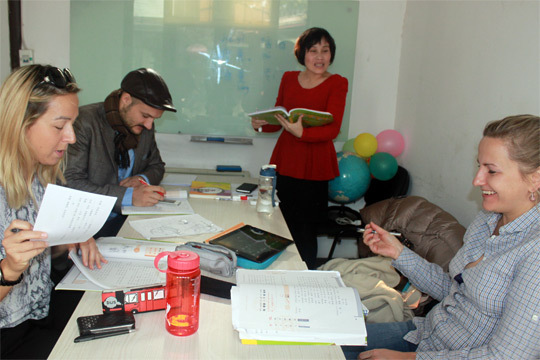 The Sinology Institute reserves the right to arrange teachers according to availability. No guarantees can exist as to the progress of the student. Classes have to be cancelled by email at the latest 24 hours before class starting time. Instructions for rescheduling the class are the student's responsibility. Only after receipt of a confirmation email can the class be considered cancelled. Students may cancel and reschedule up to 25% of their study contract's class volume. The 24 hour advance notice by email rule still applies. The Sinology Institute reserves the right to have non-interfering quality auditors and prospective students listen in to classes. Whenever referring to "Chinese" or the "Chinese language"it is a reference to the Mandarin Chinese language (Putonghua). 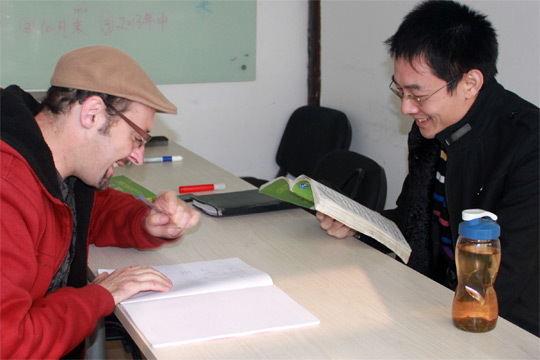 The Sinology Institute reserves the right of admission to all programs offered. These policies and terms are subject to the laws and regulations of the PR China.